NNA - Talal Abu Ghazaleh, a name that resonates throughout the Arab world, has reaped a place in Venture Magazine's "Jordan's top 20 power list" for his pioneering role in laying the foundation for Intellectual Property in the Arab world. Abu Ghazaleh is one of the main pillars that have proven to massively dominate the Jordanian Kingdom’s business world. His business empire, Talal Abu Ghazaleh Organization (TAG-Org), comprises dozens of companies that also specialize in accounting, consulting, management, IT, and legal services. The Regions’ champion of intellectual property, also dubbed the God Father of Intellectual property, kicked off his career hike by working for an auditing company, but he decided to delve into the world of intellectual property after attending an event in the United States that addressed this particular issue. 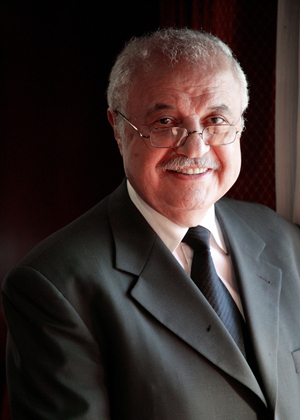 Back in 1972, he established Talal Abu Ghazaleh Company (TAGCO) and Abu Ghazaleh Intellectual property (AGIP). AGIP, which was established in Kuwait, helped lay the foundations for the uptake of IP practices in the region. Since its establishment, the company assisted Arab governments and decision makers in drafting IP rights, laws, and regulations. Being a staunch advocate of education, he founded the Talal Abu Ghazaleh graduate school of business, the Confucius Institute, and a professional Training Group that trains individuals in management, finance, economy, law, and e-learning. Abu Ghazaleh, who saw the importance of IP years ahead of anyone, deems digital education as the way to the future. "There’s a study that predicts that in 2020, 80 percent of US universities will be virtual and all education will be online. The world is moving so fast and we are now in a transition period, which is why some countries like Jordan are still dragging their feet about accrediting online education. Technology only moves forward and this particular technology of interaction is going to be perfected as days go by," Abu Ghazaleh told Venture magazine.